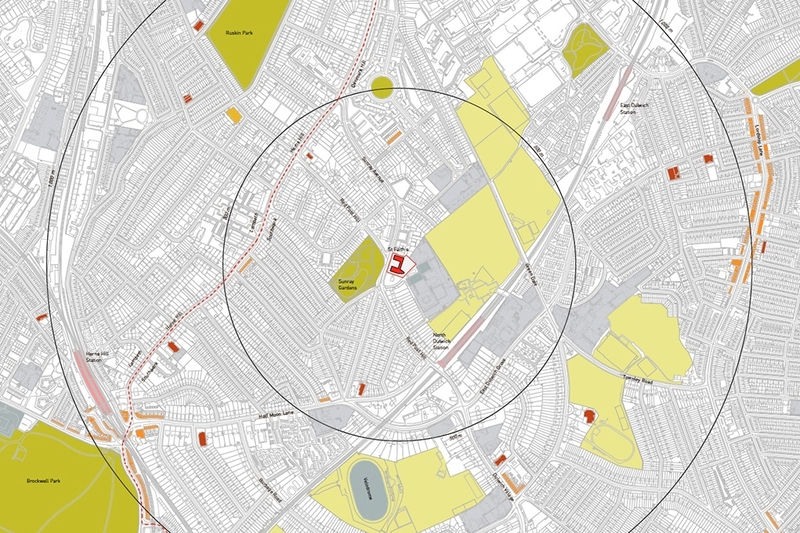 Transformation of an existing centre into a vibrant sustainable community hub showcasing the large variety of activities. 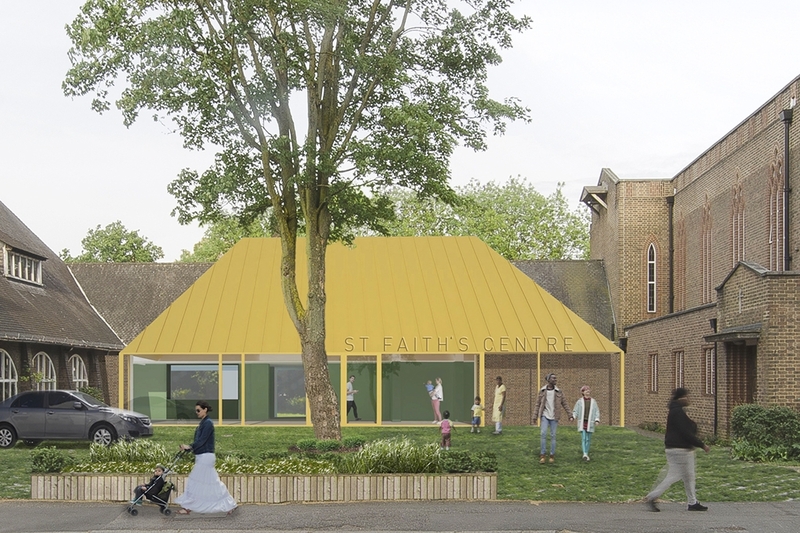 St Faith's centre is a well-used community centre serving a diverse community in North Dulwich. Over 1000 people attend activities at the centre each week, yet the centre lacks a real hub space for chance meetings, food enjoyed together and activities to be put on show. 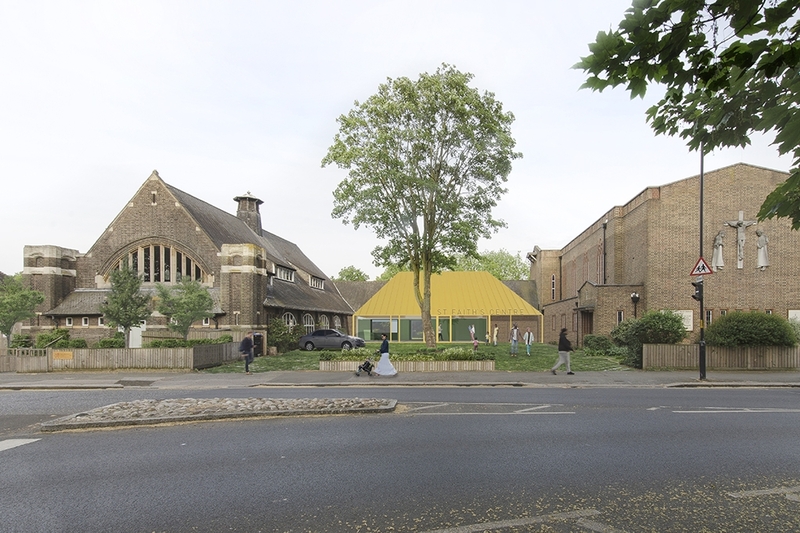 The proposals pull the existing activity spaces together and link them to the beautiful large garden at the rear. Pedestrian access is improved through a landscaped mixed-access space at the front, turning the car park into a welcoming arrival space. The hub is located between the old church (now the community hall) on the left and the new church from the 1950s on the right. It is a noticeable building in the centre, inviting passers-by in as well as providing a meeting point for groups gathering before and after scheduled activities. The project has evolved following numerous stakeholder engagement events and has been made possible through initial funding by the Big Lottery Fund. 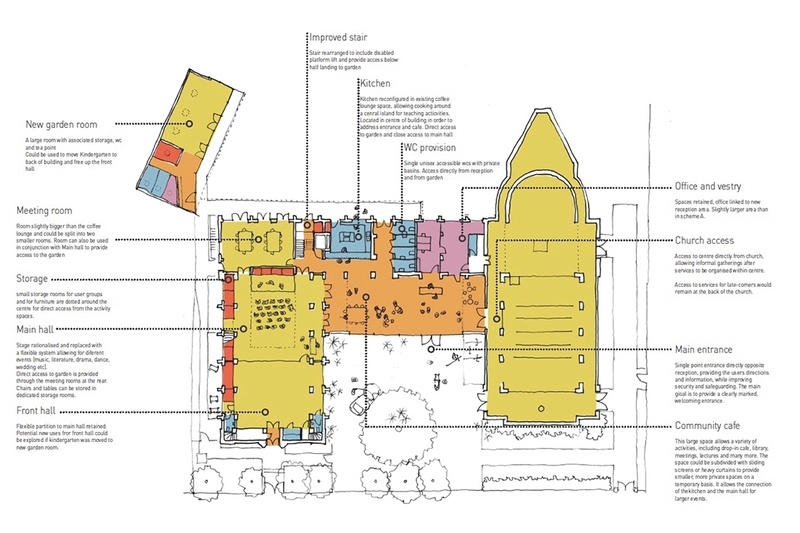 Capital fundraising for the hub project is currently on-going while smaller scale preparation works are being implemented such as a new buggy park, the replacement of the hall flooring and the creation of a community co-working hub.